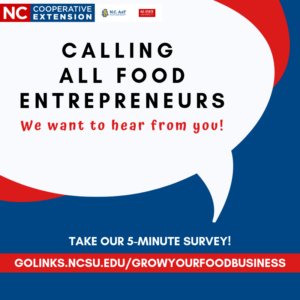 Job Description Kristin Davis is the Family & Consumer Sciences Agent with NC State University's Cooperative Extension Service in Mecklenburg County. She leads the Family & Consumer Sciences program including programming in the areas of local foods, food literacy, food safety and volunteer development. She also serves as the local foods coordinator for the NC 10% Campaign in Mecklenburg County. 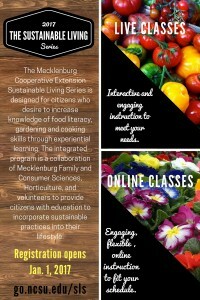 In 2015, "The Sustainable Living Series" received Charlotte Magazine's Best of the Best (BOB) award, a program she created to meet citizens' needs. Kristin holds a Bachelor of Science in Family & Consumer Sciences, a Bachelor or Arts in Psychology, and a Master of Arts in Marriage and Family Therapy. She is also licensed as a Marriage and Family Therapist in NC. Extension Master Food Volunteer Program Now Accepting Applications! 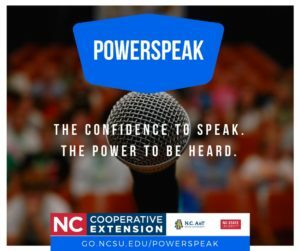 PowerSpeak Now Open for Registration! 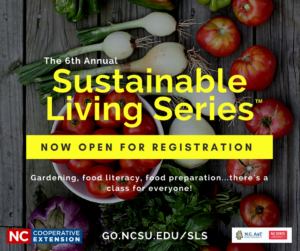 New 2017 Sustainable Living Series Opens 1/1/17!